SUPER, PERFECT little Hen. DIRECT DAUGHTER of "DE WONDERE DIRK" and GRDAUGHTER of KLEINE DIRK. The very best of the Koopman bloodlines. She is a small, beautiful, apple bodied hen, perfect in every way. 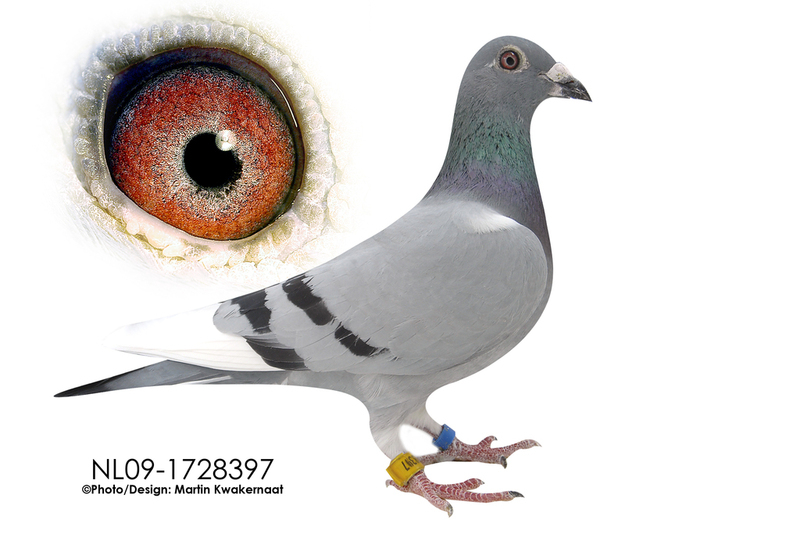 Her siblings have won A/O 1st vs 11,552 pigeons, 1st vs 10,141 pigeons, 1st vs 7710 pigeons, 1st vs 7000 pigeons, 1st vs 6936 pigeons, 1st vs 6367 pigeons, 1st vs 5507 pigeons, 1st vs 5477 pigeons, 1st vs 4320 pigeons. A SUPER addition to Little Reata Loft where she will be a Foundation Hen. 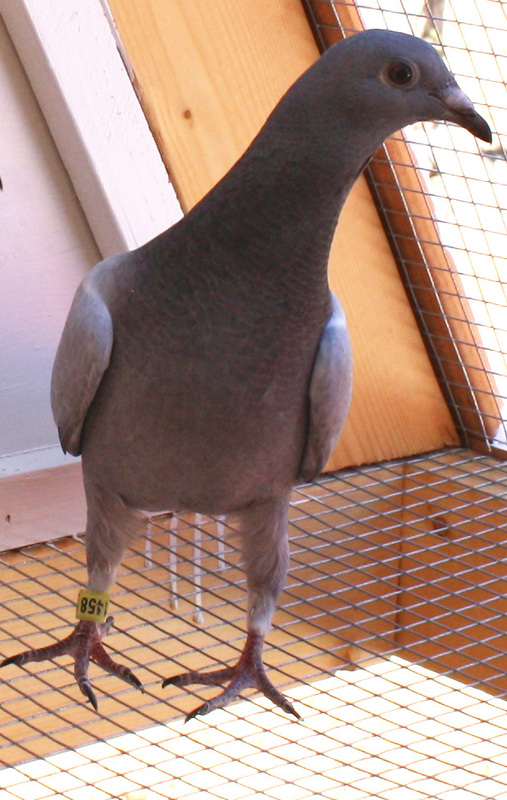 Dam of 2 X =1st at 2012 Sierra Ranch Classic 170 miles vs 570 pigeons. 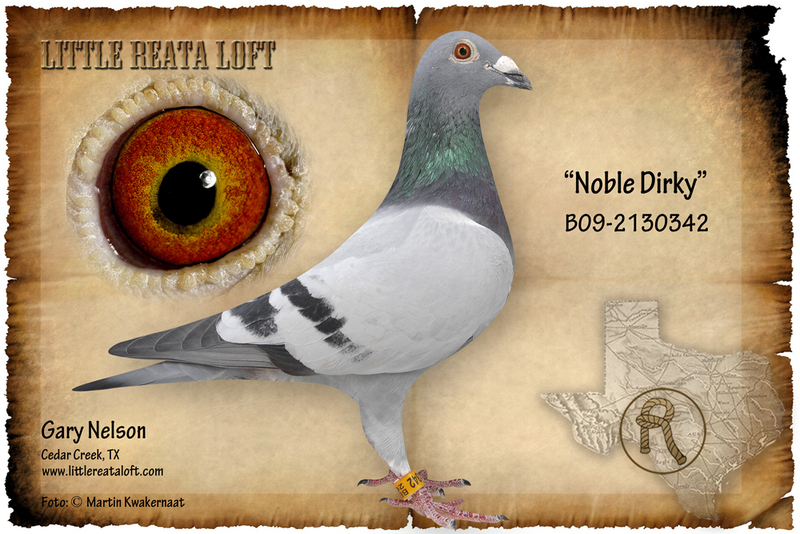 Dam of =1st 2012 Sierra Ranch Classic 225 miles vs 506 pigeons. 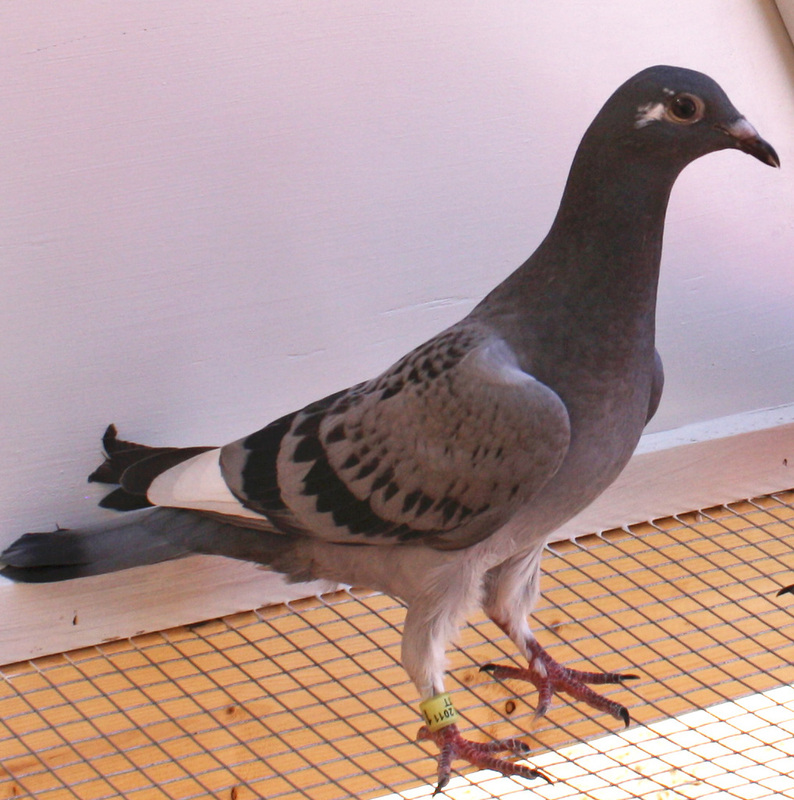 Dam of JETT 12524, =1st vs 103 pigeons, 111 miles, 2013 SR Classic Yearlling Race. Mercedes. Won =1st 2011 Mercedes Classic Race, 300 miles vs 365 pigeons. Texas Shootout. This little hen Won 4th Place Average Speed for the race Series 2014 Texas Shootout. Beautiful little Powder Blue Hen with all the goods to make a Foundation Breeder. All the Best from KOOPMAN, down from KLEINE DIRK. All the Best from Koopman. Sibling was on the drop at the first Texas Shootout race this last week in the disaster 150 mile race that it took most of the birds all day to come back. Full sister to JETT 226 , winner of Average Speed in the 2014 Texas Shootout.